I don't know exactly when I first discovered The Folio Society, but there was no going back once I did. If I remember correctly, I was looking for a pretty edition of I Capture the Castle. I bought the book on a whim one day and ended up falling in love with it, but then I hated that I owned the ugly movie tie-in edition. I knew there had to be a better one! In that search, I came across this post and fell in love. The post didn't mention The Folio Society, but I spotted the name on the title page and started searching. My first reaction to their website? A bit of sticker shock at the price! I wondered if their editions were really worth it. I love buying books, and it's one of the only things I consistently splurge on... But I was hesitant! When I realized that the Folio edition of I Capture the Castle had gone out of print, I decided to see if I could buy a copy secondhand. I found one from an Amazon seller and was able to get it for $30. While it was still more expensive than a typical book, it seemed more reasonable than a full-priced edition. Once I saw the quality of Folio Society editions, I knew I'd be adding a few to my wishlist. That's the background on how my obsession started, but now let me tell you all about The Folio Society and their gorgeous editions! Beautifully crafted, imaginative editions of the world’s great works of fiction and non-fiction, Folio Society books offer a rich literary experience to readers of all ages. The books we select for publication are timeless – we know they will be enjoyed and appreciated now and in the future. Because each book is considered as an individual object of value in its own right, there is a variety to our aesthetic – the only uniformity is in the quality of every single book. Now, let's get to the main attraction: the books! Using my collection, I'm highlighting my favorite features of these editions. They're not all unique to Folio, but they are part of what makes these books collectible. SLIPCASES | Every Folio Society edition comes with a slipcase. According to the Folio website, they are "a distinctive feature of our books, and the traditional protective covering of fine editions." Some editions have a design on the slipcase, like Pride and Prejudice above, but most of mine do not. It's just a solid color that coordinates with the book's cover. I like having the slipcase to protect the book! ENDPAPERS | Some Folio editions have special endpapers with a design that coordinates with the book. For example, the endpapers pictured above are from Little Women. However, most of the Folio editions I own just have more standard, solid-color endpapers that match the look of the book. A Folio book is a unique object, one in which typography, illustration, paper, and printing and binding techniques all play a part in creating a harmonious whole. The Folio Society has celebrated the particular joy to be derived from owning, holding and reading a beautiful printed edition. Our aim is to create books that are unique in their aesthetic and in their quality – this is what makes a Folio collection something to cherish. I can't even choose a favorite! I'll be honest and admit that I've wanted to buy a few solely for their covers. From choosing the best translations to negotiating revisions with authors; from fact-checking at specialist libraries across the world to emending textual imperfections, which often creep into modern editions of classic works, we aspire to give our members an enhanced experience of their favourite books. And for additional insight, we select introducers to act as the reader’s companion, whetting the appetite and setting the book and its author in context. I love knowing how much thought goes into each book! This is one of those "hidden" benefits of Folio books. You may not even be aware of all the ways Folio works to create a special reading experience. TYPOGRAPHY | Speaking of "hidden" Folio benefits, this is one thing I wasn't aware of until I looked into what goes into making these editions. A huge part of that process involves typography! Folio believes it "should be pleasing to the eye, never intrusive and generously sized." The creative process is fascinating! CHAPTERS | I love flipping through a Folio book when it arrives and seeing if the chapter titles are decorated! Even if they're not, it's fun to see how the typography is different. The example above is from Perrault's Fairy Tales, which is just a gorgeous book all around. It's so cool when the chapter titles have special details. Some editions feature older illustrations that appeared in previous editions of the book. For example, The Secret Garden includes the Charles Robinson illustrations that first appeared in the book in 1911. I love the variety! If you love the Folio Society as much as I do, you might interested in learning more about their membership program! To qualify, you need to buy four or more books within a 12-month period. Once your membership starts, it runs for 12 calendar months. If you buy another four or more books during that time, membership continues for another 12 months after the initial year is over. Check here for more details. Members' Launch Prices: Members get exclusive savings on newly published and back-in-print books. Member-Only Sales: Members can save up to 80% on a range of Folio titles during their annual sales. Exclusive Special Offers: Members can receive special offers for select Folio titles. Capped Shipping: A brand-new benefit caps shipping at $20 for orders of 3 or more books. It's not cheap to become a member, but I've definitely seen it pay off. Folio recently had a Summer Sale for members, and a bunch of titles were 50% off. I was able to combine that with a special offer for $20 off a purchase of $120 or more, and I got four books on my wishlist for $100 total. It was still expensive, but each book only cost me about the same as a full-price adult hardcover book. But it's one I'll keep forever! 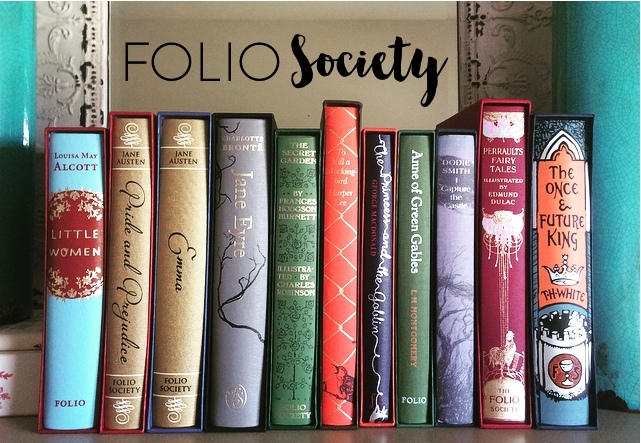 Have your heard of The Folio Society before? What's your favorite Folio edition? Any books you'd love to see Folio release? You might have just started an obsession for me. I took a glance at their site and I already want 4 books. Also, I'm really glad you mentioned I Capture The Castle. I read it when I was younger, and I've been meaning to reread it but completely forgot. 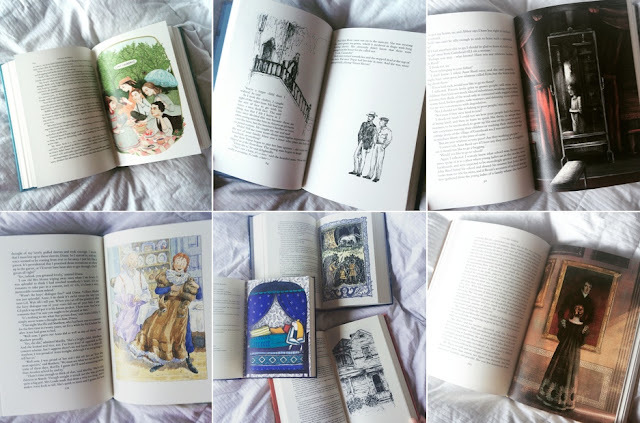 I'm already obsessed with collecting my own Folio Society editions, thanks to you! They seriously produce such lovely editions of books, and there are plenty of them that I'd like to snap up for my own collection. In due time, I'm sure. Thank you for sharing such a detailed, lovely post! FS ought to hire you for their PR team. 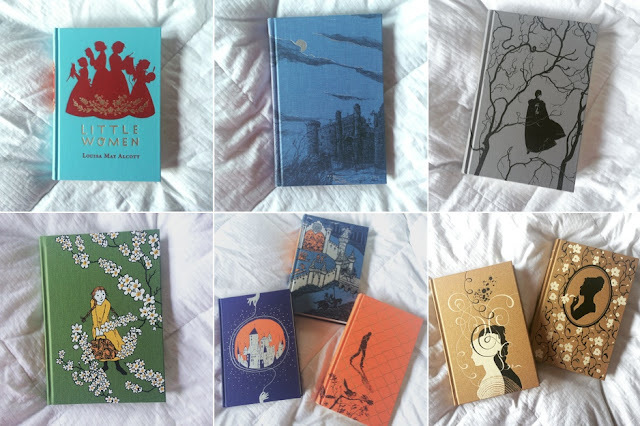 I've recently started my collection of books with a beautiful or somehow interesting design for me, and now I'm going to add several Folio Society editions to my wish-list. It's gonna be hard to choose, but I think it makes sense to get my favorite books at least. I've got Ballet Shoes by Noel Streatfield and The English Christmas from The Folio Society. I want Jane Eyre and Emma next. These books are gorgeous!